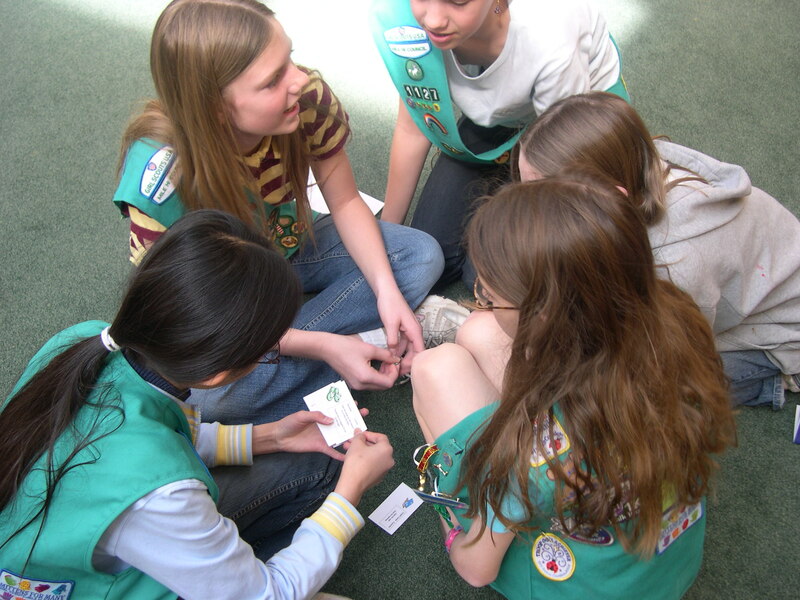 Girl Scouts earn a badge and learn how to spend cookie money wisely! Young Americans Center for Financial Education has been teaching kids about money for more than 30 years and is excited to partner with Girl Scouts of Colorado. In our Girl Scout Badge Classes, scouts participate in lessons and games to become financially savvy and to gain a better understanding of money, budgeting, and philanthropy. Each semester, we offer different badge classes for Daisies through Cadettes. Please check our class schedule below and contact us to register your troop or to get additional information. Cost: $10 per girl which includes class materials and badges for troop leaders to distribute. Registration: Please contact Debbie Schaller at 303-320-3237 or dschaller@yacenter.org to register your Girl Scout troop. Registration for fall, 2019 sessions will be available starting in August, 2019. Special Instructions: Girls must sign up as a troop. Unfortunately, we do not take single reservations. If you would like your Girl Scout to participate in a badge class, please reach out to the troop leader to get signed up. Regrettably, we cannot accommodate unpaid siblings at these classes. Once your troop has attended a badge class, click here to issue payment. Payment cannot be accepted until after the class is complete and you have received an invoice. This is because we do not want to charge you money for any scouts unable to attend. Cadettes (ages 11-14) Comparison Shopping Badge—NEW! Participants who attend this class will be guided through the steps necessary to earn their Comparison Shopping badge. Girls will learn how to compare prices, utilize sales and access product reviews in order to determine the best deals and make wise financial decisions. Participants who attend this class will be guided through the steps necessary to earn their Philanthropist badge. Girls will discuss the differences between needs vs. wants and will learn why it is important to share with others. They will define the term “philanthropist” and will come up with ways that they can share their time, talent and treasure with others.